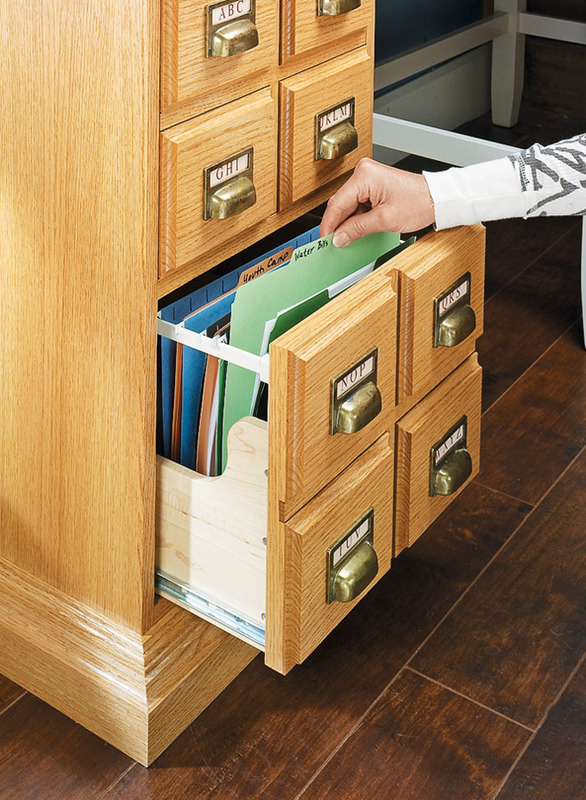 File cabinets don’t have to be the unattractive metal or fiberboard boxes found in office supply warehouses. 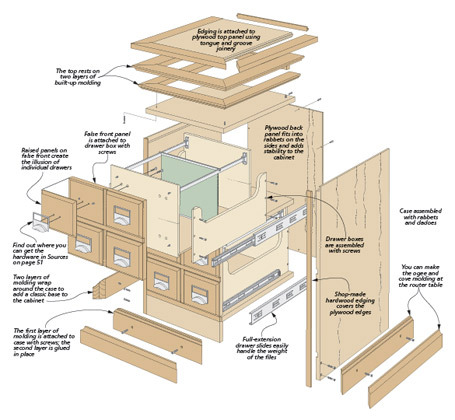 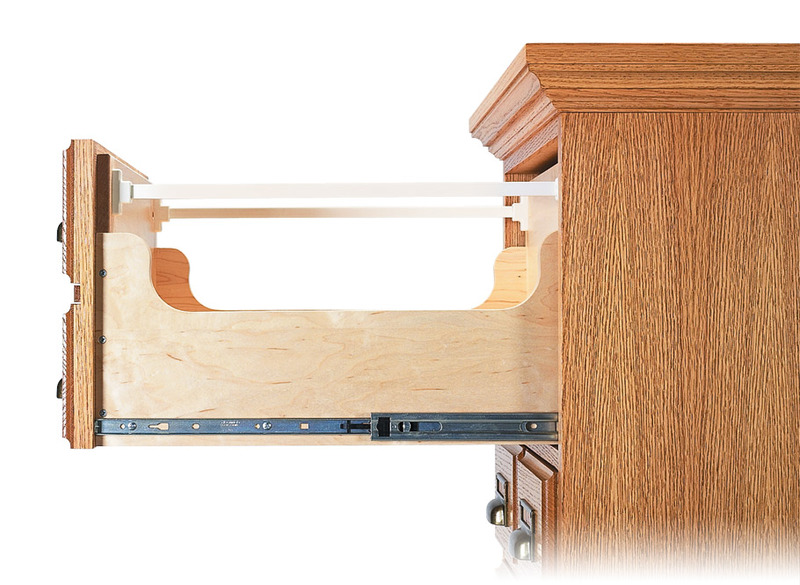 You can build your own to suit the décor in any room of your home. 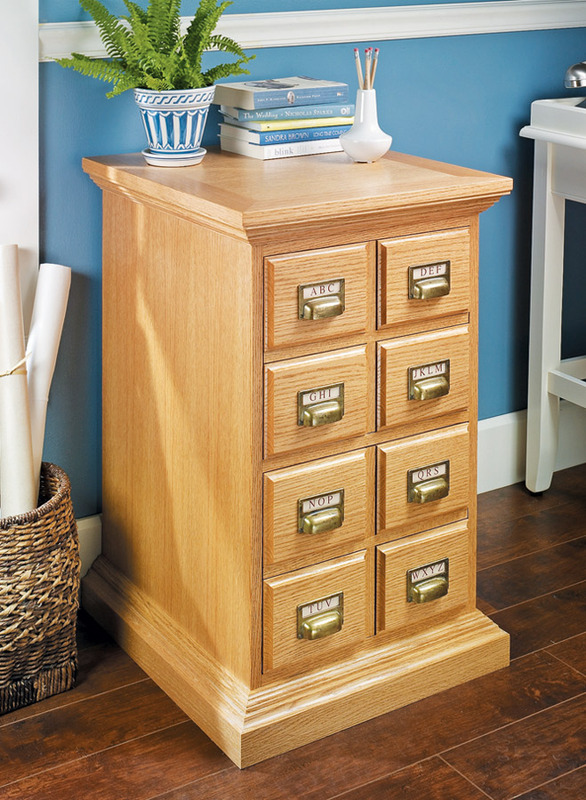 This cabinet is designed to give the appearance of an old-fashioned library card catalog, but it actually holds full-size file drawers. 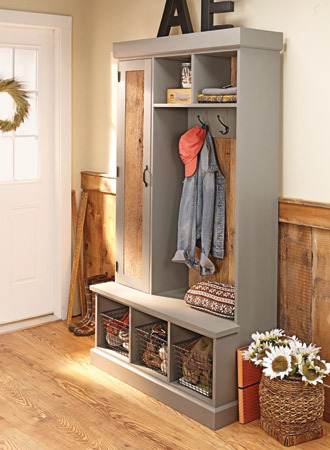 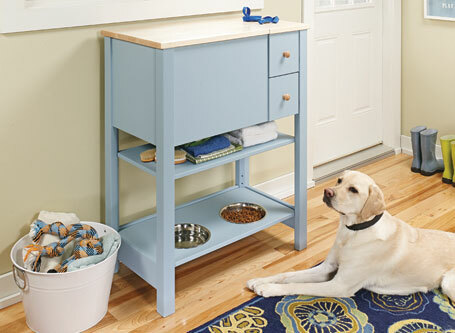 And if you like the look but don’t need file storage, we've included an option to convert it to a cabinet with a slim top drawer and a storage compartment below. 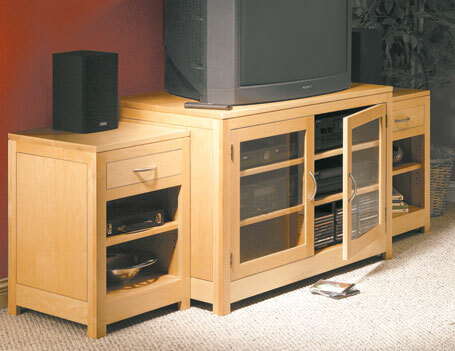 In this configuration, it works well as a bedside table or lamp table in the living room.